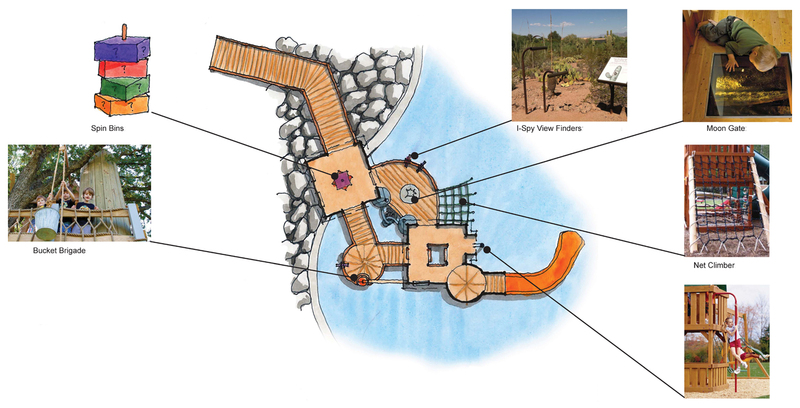 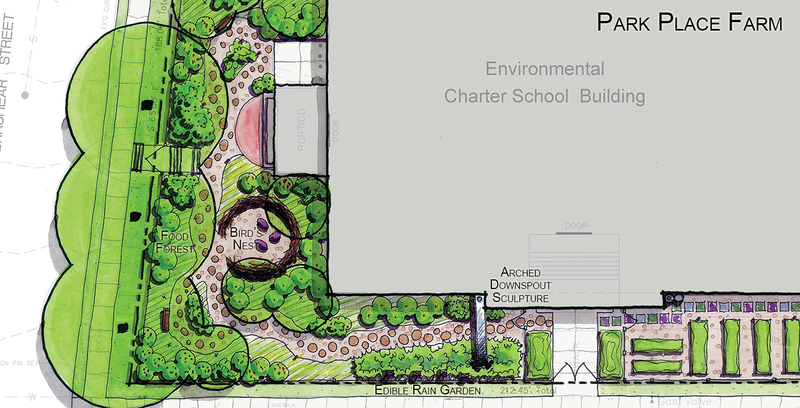 The Environmental Charter School engaged us to develop a nature based play space on their small urban site. 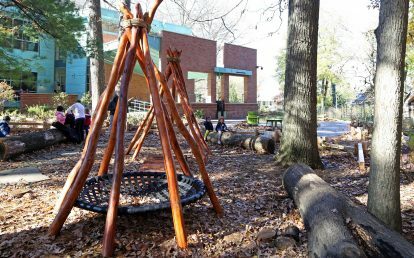 With a heavy emphasis on outdoor learning, the school wanted multi-functional spaces where children can be active and learn about stormwater, how to grow food, natural processes, pollinators, as well as basics in math and English. 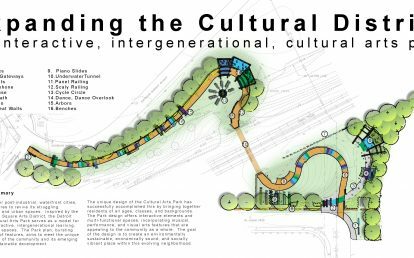 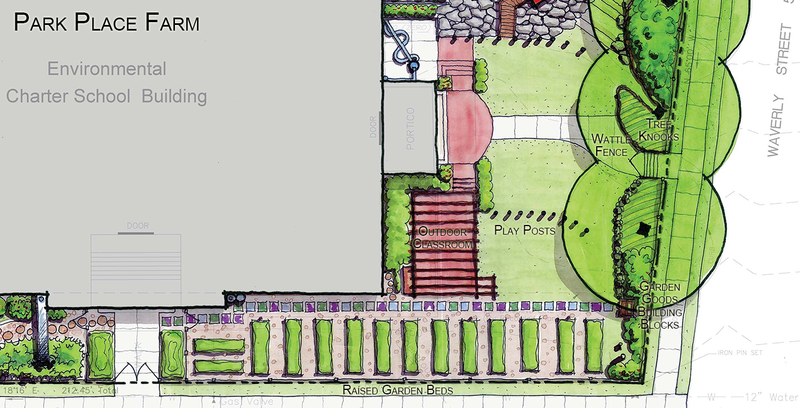 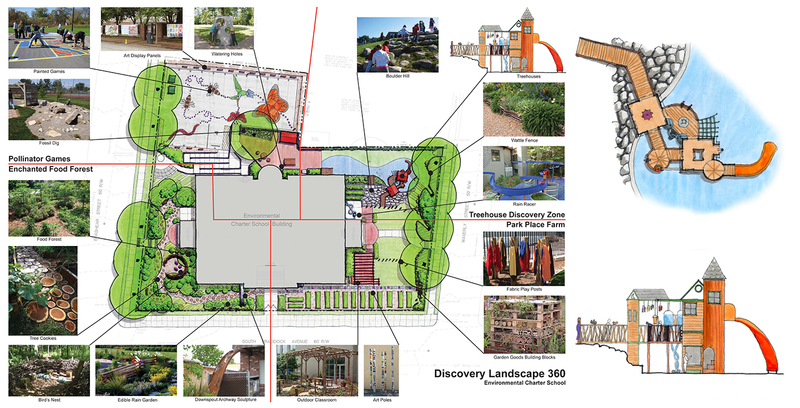 We worked with teachers and administrators to develop a plan that integrates artful stormwater features, tree houses that kids can interact with and display art, rain gardens with bridges, a food forest, birds nest outdoor class room and pollinator pavement games. 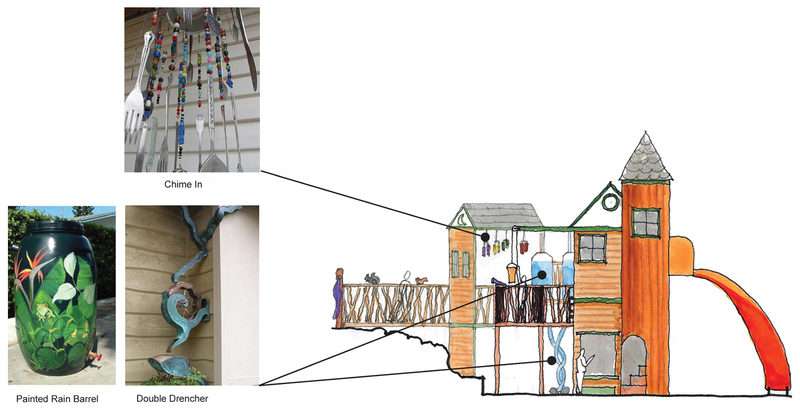 Many of the elements were designed to be able to be created and installed by volunteers. 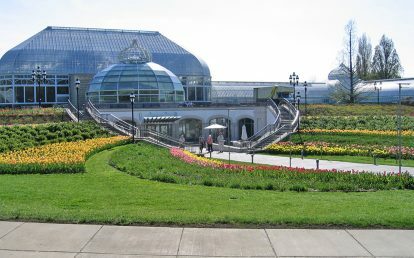 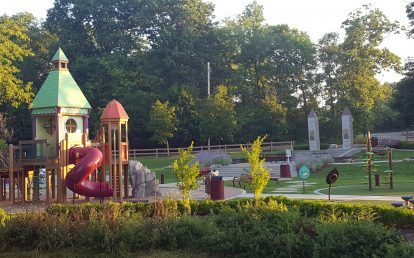 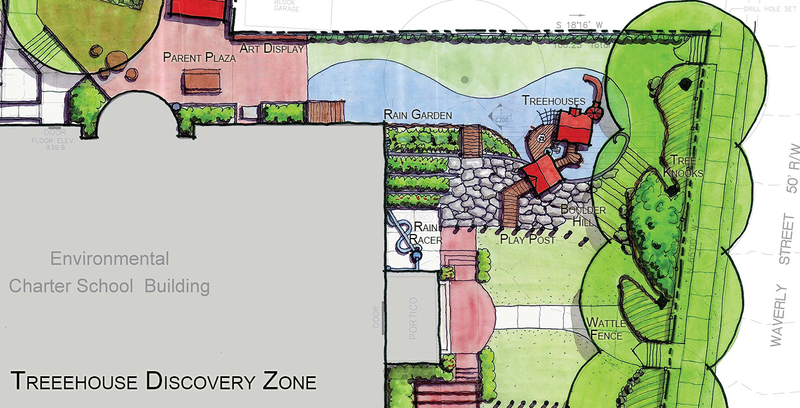 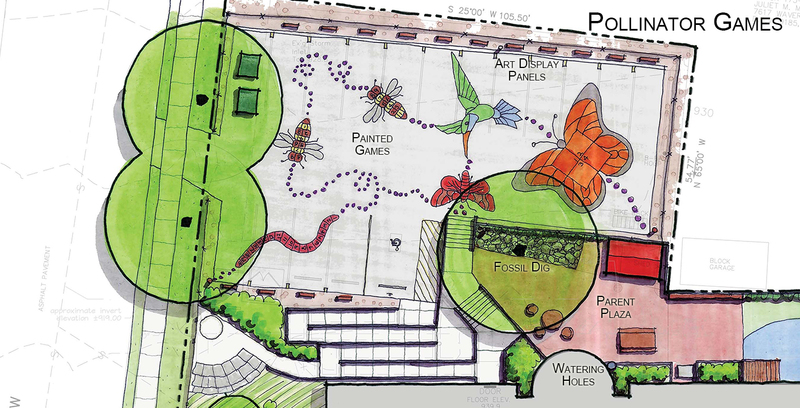 The space is divided into four quadrants: 1) The Tree House Discovery Zone, a more active area focusing on two tree houses and boulder field; 2) Park Place Farm, a formal raised garden bed and covered outdoor classroom area; 3) Enchanted Food Forest, a natural area resembling nearby Frick Park; and, 4) Pollinator Games, painted pavement games in the shapes of pollinators.